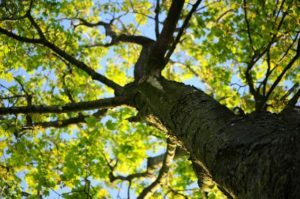 Keep your trees healthy this spring with Nelson Tree Specialist! Your trees play several different roles on your property: shade, privacy, aesthetics, and more. Sometimes, you need to show them a little love as well. Proper care will keep your trees healthy for many, many years. At Nelson Tree Specialist, we know the best way to care for all of your trees’ needs and we would love the opportunity to become your professional tree care service! Storms come in all different sizes and levels of severity. Especially in the summer, you can get some really intense storms. Hurricanes and tornadoes can do a whole lot of damage to your home and property. In the right conditions, a hurricane or tornado could completely uproot a tree. If you have a tree that has been damaged or killed by a storm, a professional tree care service like Nelson Tree Specialist can assess the damage and figure out the next steps. Trimming, or pruning, your trees is essential to keeping them healthy. It may sound counterintuitive, but trimming off some bits actually helps your trees’ branches grow longer, fuller, and stronger. Pruning should always be done by a professional. Improper pruning can seriously harm the health of a tree. Your tree care service will know the right time of year to trim your trees, and what exactly needs to be trimmed off. Even if there are no outward signs of damage or sickness, it’s good to have a professional tree care service that can come out an assess the health of your trees. Just like you have your yearly physical with your primary care physician, your trees also need a checkup every once in a while. This entry was posted on Friday, May 11th, 2018 at 9:37 am. Both comments and pings are currently closed.